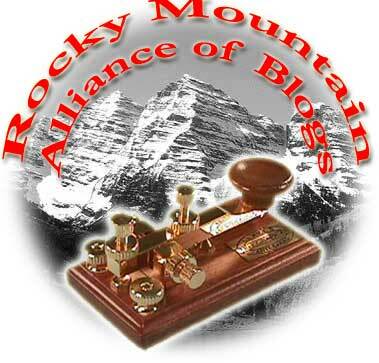 Tuesday night on the Blog Talk Radio show, the RMA discussed the curious case of Marie Morrow, a senior at Cherokee Trail High School, a Young Marine in Douglas County, and a victim of the draconian zero-tolerance laws. She was first suspended, and awaiting possible expulsion over fake guns locked in her car in the school parking lot. I've reviewed pertinent information from the Aurora Police Department as to events leading up to Ms. Marie Morrow's suspension and I've come to understand the circumstances surrounding this particular case. I am writing to express my utmost disapproval of any further disciplinary action, including expulsion, of Marie Morrow, a senior at Cherokee Trail High School. I'm respectful of the Federal and State laws concerning firearms in and around school property and calls for mandatory expulsion of any student who carries, brings, uses or possess a dangerous weapon in and around school property. In this case, common sense must prevail as the circumstances reveal that not only were these "Drill" props, but Ms. Morrow is a member of the Douglas County Young Marines where she exercises regularly with these props. Additionally, these props are not dangerous, were not intended to be used dangerously, and further were stowed away in Ms. Morrow's vehicle. I understand that under state law they can be interpreted to meet the definition of a weapon, and that as administrators, your staff and legal counsel may feel there is little room for flexibility. However, I respectfully ask you to consider the reality and impact this will have on our community and most importantly Ms. Morrow's future. I request that your administration and those parties to any hearing concerning this matter allow common sense to prevail. Please allow Ms. Morrow to return to school and complete her high school experience successfully. It's worth noting in passing that common-sense revisions to these laws - passed or strengthened in response to the murders at Columbine - are being resisted or blocked by Democrats who are just ideologically opposed even to the appearance of guns. For a party that has just voted against making actual education spending transparent to those footing the bill, this is apparently what passes for education reform. In the meantime, let's hope that the schools make the right decision in this case. So the study shows that the voucher students did better. It just isn’t able to say with a high level of certainty that the vouchers are the reason they did better. Adding insult to injury, the results just barely missed the conventional cutoff for reporting results with high confidence. The standard procedure is to report results if they are 95 percent certain. The results in this study were 91 percent certain. And this is the second year in a row the D.C. results have come close to the cutoff without reaching it. Eventually, enough 91%-certain results can be aggregated to get over the magic 95% threshold, but the fact is that 95% is arbitrary, leaving a 5% uncertainty. People take flyers on educational systems that have a far less than 91% recommendation going for them, after all. The Wall Street Journal carries a fawning review of one of my favorite companies, The Teaching Company, the modern incarnation of the Lyceum Movement. The length of the lectures and the level of engagement required is pitch-perfect. I've had particular luck with the music courses and the history courses, but the only reason the literature courses haven't worked as well is that I rarely have had time to read the books. The bus ride has been devoted to CFA studying, in fact it has become a primary reason for taking the bus when I can. Although come to think of it, that course on Byzantium is probably the ideal accompaniment to floor tiling. "You compare students year to year in certain subjects to find out whether they're learning and how much of it can be attributed to the school," says Jeanne Allen of the Center for Education Reform. "This national study doesn't do that." This federal picture is incomplete, in part, because the feds only began including charter schools in NAEP data three years ago. But states have been measuring performance trends for much longer. And the value-added effects of charter schools are clear. Studies in California, New York, Massachusetts, Florida and elsewhere have repeatedly shown charter school students outperforming their counterparts in traditional public schools -- sometimes dramatically. In Michigan in 2004, 46% of black eighth-graders in charter schools passed the state math assessment test, compared with just 21% of black eighth-graders statewide. Remember, charter schools don't have the luxury of refusing students based on performace - these are public schools, that have to fit student demand to seat supply through a lottery, or some other neutral mechanism. The only student selection is self- or parent-selection, and while it's more likely that motivated parents or students will cast about for an escape, the experience in Cleveland and Florida suggest that that proportion is higher than just a few percent. In any case, charters can hardly be accused of skimming. We did have one caller, Robin, a middle-school principal, who argued that charters need to upgrade their teacher certification standards, a typical claim from a union that would like to extend the close shop to beyond the shop. If charters are outperforming (or even matching) public schools using less restrictive teacher certification, that just says that at least some of the standards the unions have helped impose are either irrelevant or outright damaging. A proposal to immerse students who don't speak English into intense English-instruction classes for a year before they return to mainstream classrooms is not educationally sound and could be harmful to students, educators and critics say. "This (proposed state constitutional) amendment is one-size-fits-all, regardless," said Sheila Shannon, a professor in the School of Education at the University of Colorado. At issue is the "Education of English Learners" ballot initiative proposed by a Weld County-based committee, English for Colorado. It calls for placing kids learning English into language classes for a year, without lessons in math, science, social studies or other topics. After that year, the student would return to mainstream classrooms, said Weld County Commissioner William Jerke, who is leading the initiative effort. Parents of students 10 or older can request a waiver. But there is division on whether those programs are working. The research on bilingual education, in which English learners are helped in their native language, shows that students benefit in cognitive, language and social development, [CU Professor] Shannon said. Research also shows that it can take an English learner four to seven years to compete with English-speaking peers, she said. Critics also say such a plan would deprive parents of choices, would leave English learners behind in other subjects and would be expensive. First, there is always division on whether or not this or that "reform" is working. Good grief, there are even "education professionals" who think that 3+3 equals something else in Africa. Second, the Post provides no arguments in favor of the plan, but uncritically reproduces sounds bites against it. Finally, if anyone over 10 can get a waiver, it's by definition not coercive or "one-size-fits-all," despite Professor Shannon's objections. "One-size-fits-all" is exactly the system we have now - it's just a size that happens to fit Professor Shannon. As it happens, both the Center for Equal Opportunity and the Lexington Institute have produced studies supporting English Immersion. The current official English debate illustrates the problem well. Those in favor of official English, or English only, argue that such a policy is in the best interest of all Americans, especially those who do not already speak English. Furthermore, they argue, one language holds a society together and allows communication and trust across communities. Although such a policy would necessarily involve negative sanctions against those who either oppose it or who cannot abide by it because they do not speak English, the arguments in favor of it are promoted and perceived as benign if not benevolent. The negative sanctions necessary to enforce an English-only policy exemplify the symbolic violence that Bordiue talks about. Immigrants, in our view, are the victims of a colonizing educational process. If Prof. Shannon were to ask anyone who was outdoors west of the Mississippi on May 1 exactly who's feeling colonized, I suspect she'd get an answer that might move the askee to violence more than symbolic. This is the expert the Post went to for an opposing viewpoint. Not someone who thinks bilingual education is a better way to assimilate and acculturate the waves of immigrants, but someone who sees it as a Trojan Horse to prevent their assimilation at all. It took me about 10 minutes to track this down, by the way, even after being misdirected by the reference to University of Colorado rather than the correct CU Denver.